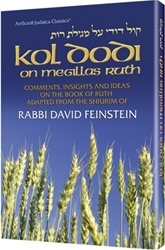 Comments, insights, and ideas on the book of Ruth, adapted from the shiurim of Rabbi David Feinstein. Ruth is the epitome of the righteous convert, a paradigm of unselfishness and kindness. She is the Mother of Royalty, the great-grandmother of King David. Her story is part of the eternal Torah and is read on Shavuos. 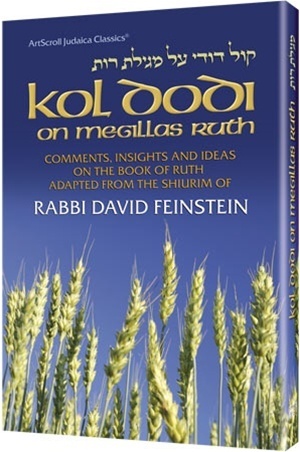 The Rosh Yeshivah's comments and insights shed new light on the Book, its historic significance, and the quiet greatness of Ruth, Naomi, and Boaz. This work is, in the idiom of the Sages, me'at hakamus v'rav ha'eichus, small in quantity but great in quality. To study it is to enrich oneself immensely and to absorb a new dimension of Torah wisdom.